Do you have a pipe system problem in Granada Hills, California, or do you simply own an older home with a faltering sewer system? 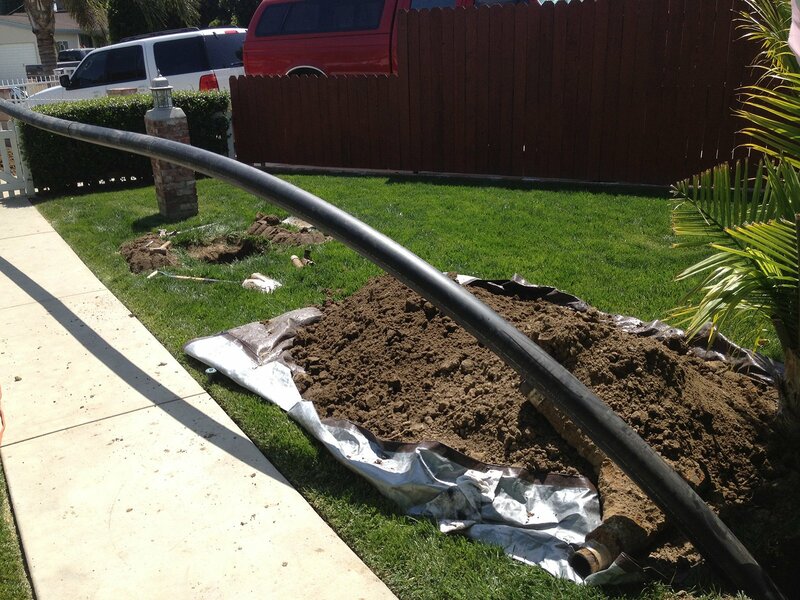 Our trenchless pipe lining services from The Rooter Drain Expert Inc. may be for you! Trenchless pipe lining: how does it work? As with all services provided by our team at The Rooter Drain Expert, our pipe lining is trenchless in execution – meaning only a small access point is required to reach and work with your pipe, rather than the traditional method of digging a trench in your foundation, yard, or parking lot. Before any maintenance or repair work is performed, a sewer camera inspection is conducted as a matter of course. One of our Rooter Drain Expert technician threads a small, high-definition camera into your pipe to get clear images of where the problem is located and exactly what it is. This allows our team to treat your pipes without a lot of time-consuming guesswork, and gives you a firm concept of what services are required in your home or business. Following a diagnostic of the camera images, your pipes will be cleaned and cleared prior to installing the pipe lining. This is accomplished using hydro jetting – a process that injects high-pressure water into your pipes to eliminate coated-on kitchen grease, small tree roots, and other debris. This ensures that the lining adheres cleanly to the inside of your existing pipes. The pipe liner is now ready to be installed. It is unrolled similarly to a flattened hose, and the end is fitted around the existing pipe. High pressure forces the liner inside-out and into the pipe, fitting firmly inside it. Our trenchless pipe liners can be cut to any length, meaning they suit both small-scale, localized repairs and larger jobs encompassing your entire system. The liners can also be fit into curved, straight, and 90-degree angle pipes, making them (literally) highly flexible. Made of a tough epoxy resin, trenchless pipe linings have a lifespan of up to fifty years, over ten years longer than any other pipe material! Additionally, their seamless construction doesn’t enable tree roots to force their way into your pipes as traditional metals or plastics would, something that is beneficial for any homeowner in Granada Hills with older, larger trees in their backyards. Trenchless pipe linings are also more environmentally friendly than traditional methods of pipe repair. The latter involves sending large amounts of piping and other construction materials to a landfill each time a repair or maintenance is required, whereas trenchless methods leave your existing pipe in place. Additionally, as trenchless jobs involve less mess and time, more water is conserved that would usually be used for a comparable traditional plumbing job. Contact The Rooter Drain Expert Inc. today! Located in Granada Hills, with four additional locations across California, our team is ideally located to serve your needs quickly. Our engineers offer prompt, professional service right to your door, whether for a routine maintenance check-up, or for pipeline emergencies. Contact us today – you won’t be disappointed!